UPDATE: What's Next For You? FRIDAY FORUM: What's Your Vision? TWM's semi-annual Visioning Workshop takes place tomorrow. In honor of these self-reflective festivities, our question of the day follows the Visioning spirit: Is there a dream you hold in your heart that you have never pursued? You've read about our Visioning Workshops many times on CHICKS ROCK! all these years, but now we've got a video to give you an inside look! TWM's Visioning Workshops are a great way to spend some quality time with yourself to reflect on who you are and what you want in life right now. You can read about Kekla, Pauline and Sally's and other guest bloggers Visioning Workshop experiences here. The next workshop is coming up on Saturday, September 29th Sunday, September 30th from 11:30am-5:30pm CLICK HERE for the invite and a place to RSVP. Hope to see you then! Pauline is beseiged with work and and not feeling well, so she hopes you take this opportunity to catch up on some of her old posts. CHICKS ROCK! wants your feedback. Click here to take a survey now and let us know what you think! I've posted about this before, but I'm a total sucker for public art. Especially cheerful art that makes my day seem a little bit brighter. I love the flamingo! She is so delightfully decked out. Apparently flamingos were one of the creatures featured in Miami area (Like how NYC had the apples for a while and I think it was Chicago that had cows?). Roosters are also popular around here. This artist has colorful pieces up all over Miami. I like the style, although the locals seem to sort of be "over" his style. Very bright and cheerful, though, as far as I'm concerned. I think part of what attracts me to art in public is simply the fact that it's free, for all to enjoy. So many times there seems to be a price attached to the enjoyment of art, whether it be expensive tickets to theater and opera, museum admission fees, hardcover book prices, the ever-increasing cost of movie tickets, or certainly the extravagant prices of many fine art pieces. Don't get me wrong--as an artist who makes a living off of people buying what I create, I am by no means suggesting that art should be totally free, or that artists shouldn't be paid. But few people can afford to buy every book they read--that's why we have libraries. Few people can purchase fine art pieces, that's why we have museums, and not everyone can even afford the ticket price, which is why they often have flexible fees and/or free admission days. Absolutely, I think artists should not have to starve, nor to give away their ideas and their creations, but I also believe in sharing the wealth of creativity freely. Seems like a contradiction, no? What do you think? Can the idea of free art and the idea of artists actually making a living exist and, not only survive, but thrive in the same economy? Most of the major television networks are airing their fall premieres this week and next. Which of your old favorites are back this year? Any new shows you're excited about this season? Can you believe that 2012 is almost over? Why not share some of the goals you hope to meet by the end of the year with us by writing about it! It will help give you some perspective and you can get support and feedback from others who are working towards their own accomplishments. So think about it and submit a guest post when you're done! We would love to hear from you. Not sure what you'd like to do next? Let TWM's Visioning Workshop help clarify those goals for you! You might be surprised as to what turns up... The next workshop is Saturday, September 29th - Get more info and RSVP by clicking here. The violence which first erupted last week in response to a contentious anti-Muslim film brings up memories of Indonesia for me. I never saw chaos on the streets of Jakarta or elsewhere in the country, nor did I experience any anti-Western sentiment from those I worked with and lived near to, but I do remember how deeply devout some of my Muslim Indonesian friends and acquaintances were and still are, and how they never made me feel out of place because I was not a Muslim. At shopping malls and all other public places, there are rooms for washing before and after prayers, usually near the restrooms, and rooms for prayer. The daily call for prayer never made me feel uncomfortable; instead I always felt peaceful. I lived in a Muslim country and was not treated like an infidel; I made friends with Muslims and Christians alike, and both groups easily mixed with each other. When I first heard about the riot outside of the U.S. Embassy in Jakarta, Indonesia, I must admit that it made my blood run cold for a moment; when I heard there was no violence or bloodshed (to date, I have not heard of any) I felt better. I visited this location several times, and always found it a calm place each time I was there, even when I was stressed out about my visa or some other matter. I knew of some anti-Western sentiment, but it never touched me directly. Of course, being of Indian descent may have helped me considerably, because in countries like Indonesia, being white equals being Western most of the time. It is only when I open my mouth to speak that my American accent reveals who I really am, which sometimes confused the Indonesian people I met and even my family members from India. Unlike the latter, the former never tried to make me feel uneasy about my unusual accent and Western identity. I hate stereotypes of all kinds, and I am just happy to have the experiences of living outside of them, in this country and abroad. I would like to hear more moderate and measured voices between the extremist ones from the West and the East. Is that too much to ask for? Perhaps for now, it is. More than a decade ago, I saw one of my first Broadway shows, The Phantom of the Opera. It was the first show I obsessed over: I bought the highlights soundtrack, tried to learn every voice part in "Masquerade," and imagined myself someday belting out "Wishing You Were Somehow Here Again" (even though I wasn't a soprano and didn't have an opera voice). Because I love Broadway, people often ask me what show to watch and I always include Phantom in my list of recommendations. But I realized sometime this year that what was once burned in my brain was now an incredibly distant memory. I still knew the story and listened to the songs, but I could no longer visualize any parts of the show. So when my cousin got in touch with me about seeing something during Broadway Week, Phantom was the first show that came to mind. We finally went last week and I was blown away at how much I loved it! If it was even remotely possible, I loved it even more now than I ever remembered loving it before. The music, the drama, the emotion, the chandelier... Everything about it is perfect. I didn't cry nearly as much as I thought I would, but I also found myself holding my breath at times, which I certainly did not expect. I am constantly amazed at the power of theater and music to move people the way it does. Some shows are great but others are mind-blowing, and I'm so happy to have had the experience again. Now that I'm taking voice lessons again, maybe in a few months I'll be able to master "Wishing You Were Somehow Here Again." Strange as it sounds, I've been thinking about the movie "Back to the Future" lately. It was referenced in an episode of television I watched, and since then it's been on my mind. Particularly the magical time machine and its Flux Capacitor that sends Marty McFly back to the 1950s. I think I was attracted to the phrase "flux capacitor" because my life has been in a considerable amount of flux lately. I've been traveling for almost six months, and writing, and dealing with unexpected events, and living life in a relatively unplanned way. It's been wonderful and challenging, and absolutely full of joy and uncertainty. A "flux capacitor" sounds like the sort of thing that could take such experiences and emotions and thoughts that often feel out of control and make them make sense, give them purpose. Moments ago, I went to Merriam-Webster online dictionary and asked it to define "flux." I already know what the word means--change, transition, flow from one state to another--but as a writer, sometimes I like to see the technical definition. I usually learn something. "Flux (n.): A flow of fluid from the body, as in (a) diarrhea, (b) dysentery." That was it. No other definitions. Just a long, blank white page after that. I cracked up laughing. What? Was it possible that I had been using this term wrong for years? Had I just created a blog post centered around the metaphor of my life as diarrhea? Well, no, it turned out to be a glitch on the website. When I hit reload, it filled in the rest of the definitions, including the one I was looking for, which read simply: "change, fluctuation." My sense of amusement continues. I've always considered it a strength that I can laugh at myself. And I realize that saying or doing something stupid from time to time doesn't make me any less smart. It was a nice reality check, too, because when I said my life was in flux, I definitely did not mean my life is watery crap. Not by a long shot. So now I'm thinking that maybe the Flux Capacitor isn't all it's cracked up to be. Marty McFly goes to the past to try to change things, but when he gets there, he realizes it was a bit of a mistake and all he wants is to get back to the future. I am luckier than Marty, I suppose, because I've never wanted to change the past. I'm happy with where I am and how I got here. But I do think there's value in looking back. All of this flux is leading somewhere...and hopefully that somewhere is a brighter, more coherent future. The Women's Mosaic's semi-annual Visioning Workshop is coming up. We all need to take a minute from time to time to reflect on our lives, where we've been and where we're going. Have you ever participated in TWM's visioning workshop? If not, what's stopping you? Do you have a clear vision of the future you desire? CLICK HERE for the invite and a place to RSVP. Hope to see you then! My parents are finally getting a divorce, and now that the proceedings have started and it is public knowledge, the reactions from family and friends have shown me who really cares about us and who does not. These revelations have made me stronger, and I feel liberated knowing the truth. For one thing, I am reminded that the ones who are truly there for my family and me are not always those who are related to us by blood. The paternal side of my family continues to shun my mother, my siblings, and me by saying nothing at all. It is so true that silence speaks volumes, and in this case, it is not a surprise to me. My aunts and uncles from this particular branch of my family have never really approved of us, because we did not attend their church and subscribe to their particular view of the world. Ultimately, I will never feel bad about this because I have always been polite to them and loving to their children, as are my mother, brother and sister. The maternal side of my family has been mostly positive and kind to us, even though divorce is taboo in my parents’ culture as a whole. I do not resent the side of my family that turned their backs on us, because I know we did nothing to deserve it. I will always care about my cousins regardless of their parents’ feelings and attitudes, and know I have at least one aunt from my paternal branch who is sympathetic to my mother's difficult situation to some degree. My friends have been very supportive, even those who come from cultures, religious backgrounds, and family structures that look down on divorce. They continue to show my family and me unconditional support and good will, and know when to dish out the constructive criticism I need if I find myself regressing rather than progressing in my life. I feel lucky, because I know there are too many people in the world who do not have enough emotional support during the most difficult periods in their lives, and feel isolated and in despair as a result. Have you been shocked when family and/or friends shunned you during the worst times in your life? If so, how did you handle the situation? I opened Facebook today and at least half of my news feed started with "11 years ago today..." Almost all of those status updates are from people who were in college or school in New York 11 years ago today. There are also a handful of simple "I'll never forget" status updates, mostly from people who weren't here at the time. It may be a fluke limited to my Facebook friends, but it made me wonder what the difference is between our experiences. But today, we remember the specifics. Those "11 years ago today..." statuses talk about what class or period they were in when it happened or, for those who are older, what part of their commute they were on or what meeting they were getting ready for. Our memories are full of disruption, feeling disconnected, and a whole lot of waiting. Schools were on lockdown and you had to be signed out by a parent but it was hard to get in touch with your parents and all you could do was wait. If you made it out of school and weren't within walking distance, you were in for an incredibly long commute home as you noticed the rest of the city was also at a standstill... more waiting. We remember relief when a classmate got through to his sister and found out she hadn't made it to the office yet. We remember the west wing of the cafeteria being closed off but still being able to see the smoke in the air. We remember our commute the next day and the gaping hole in the skyline. We remember how quiet and empty everything was the next day. It's not that this day means more to us but the more time that passes, the more I notice that it definitely means something different. At some point today, when we close our eyes, we'll see or hear or smell something in this city so vividly that we'll feel 11 years ago is today. "Never forget" seems a waste of words after that. First, my fourth novel was published! 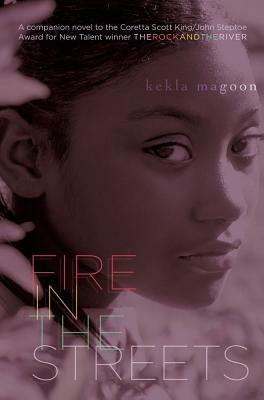 FIRE IN THE STREETS was released a week ago, and it is my pleasure to post the book jacket for everyone to see. You can read more about the book HERE. Second, this summer I was selected to be the 2012 YA Writer-in-Residence for the Miami-Dade Public Library System in Miami, Florida. I will be in Miami for the fall, teaching a writing workshop for teen writers. So I guess you can call me a Floridian for the next few months! Since I'm just getting the hang of things here in Florida, I don't have a full post for CHICKS ROCK! today, but I just wanted to let everyone know what I am up to. That's what's new with me...What's new with you? The following was originally posted on September 6, 2011 on Kristina's blog. CHICKS ROCK! 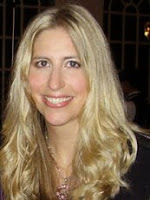 is happy to have Kristina back as a guest blogger this week. Kristina Leonardi is the founder of The Women’s Mosaic. She is a career/life coach, speaker, seminar leader and expert in the areas of career development, work/life wellness and personal growth. It’s that time of year when notebooks and knapsacks abound and all sorts of new beginnings and nerves are in the air, bringing with it the possibilities and excitement that arrive with the start of an academic year. Whether or not you find yourself in an actual classroom this Fall, we are all students in this school called Life, which means that anyone and any situation can be our teacher, and education can come in all shapes and forms. It is often those who are closest to us who teach us the exact lessons we never knew we needed (or wanted) to learn - either directly, like my six year old niece, who in her own words very calmly told my brother she wished he hadn’t found the prescription sunglasses he lost for the umpteenth time because he needed to learn to pay better attention to his personal possessions and the harsher consequences of their non-recovery; or indirectly, like a co-worker, friend or family member who likes to talk a lot forces you to be a better listener, have more patience and/or set boundaries. Whatever ‘class’ you are in, sometimes you must first fail miserably in order to then pass with flying colors, because we can’t learn a thing without making a few mistakes, a little trial and error to perfect that which we need to master… Hopefully you can figure out that the experience itself was the teacher, or have someone around to help glean what you need to learn and grow as a result. The good news is that you will never repeat a ‘class’ when you’ve truly learned the lesson the hard way, and if you’re lucky, sometimes you can even have a teacher who helps you skip several grades. Whether you think like Pink Floyd or feel like Lauryn Hill, learning is a lifelong process and everything serves its purpose in the bigger picture for you to graduate at the end of your life with honors. So this September be grateful for all those amazing teachers you’ve had both inside the classroom and out. Thank the role models, mentors and instructors who serve as great examples of achievement and inspiration as well as the challenging bosses, employees and clients, the bullies and mean girls, the tough coach, your current or ex boy/girlfriend/partner/spouse, your pain in the neck big or little brother or sister; anyone who gave you a hard time, and especially those difficult ‘tests’ you endured because they, too, helped form your character, and are all opportunities to make you a better you. Need to repeat (or stop repeating) a few classes or get a little tutoring to bring you closer to the grade you deserve? Give me a buzz and I’ll be sure you get a gold star or A+ on that project, because you can make you can make your life much closer to a 4.0 than you could ever imagine! Every year after Labor Day weekend, I usually feel somewhat let down. Summer is unofficially over, and soon the days will be shorter and colder. The school traffic across the street from my mother’s house takes over the area between 8:00 AM to 9:00 AM and 2:00 PM to 3:30 PM, with unscrupulous drivers double parking and blocking driveways during these times. This shift from summer to fall is the most uncomfortable for me, but I do find different coping mechanisms that help me make the transition easier. First, I always try to make time outdoors. The problem I face sometimes is when I go to work in the morning and leave in the late afternoon/evening hours, when the sun is set or on its way to setting for the day. This dampens my mood, as I am sure it does for others. So I always try to spend a little time outdoors, whether it means leaving earlier, or getting off the bus, train or subway a stop or two before my intended destination so I can take in a little sun on good weather days. Exercise really does help get me going too. When I do exercise, I always feel elated for the rest of the day. It must be the endorphins that are released during physical activity, which I find generate positive feelings within me. I freely admit that making exercise a part of my daily routine is challenging, but when I do it really boosts my physical and emotional health. Finally, I think my eating habits also help me deal with the change of seasons in a much more productive way. I find that buying local and seasonal produce more often assists me in getting used to the changes in the days and the weather from summer to fall. For example, if I find apples from Chile versus apples from Northeastern U.S., I will always choose those from the latter category. How do you deal with the change in seasons? Labor Day has always been one of my favorite holidays. I was going to write a bit about why, but it turns out I've already posted about it several times before: for instance, in 2009 and 2011. All I have to add is this: when Labor Day passes, that signals the end of summer. Not just for me, but for the country as a whole, it seems. Regardless of the weather, come September it means putting away carefree summer attitudes and getting down to business. Back to life, back to reality, as the song goes. We've had a great summer here at CHICKS ROCK! We hope you've enjoyed our Summer Retrospective, which included reruns of some of our favorite past posts. It's been fun for us to take a little look back at the past few years of our individual lives, and the life of this blog. If you want to check out more past posts, you can always dip into our blog archives; if you're new to the blog it's a great way to get to know all of us better. If you've been reading us for a while, it's a nice trip down memory lane! This fall, we'll be posting new content on Mondays through Fridays. And we want to hear from YOU! We love comments, guest posts, and all kinds of input that help us make this blog a conversation.